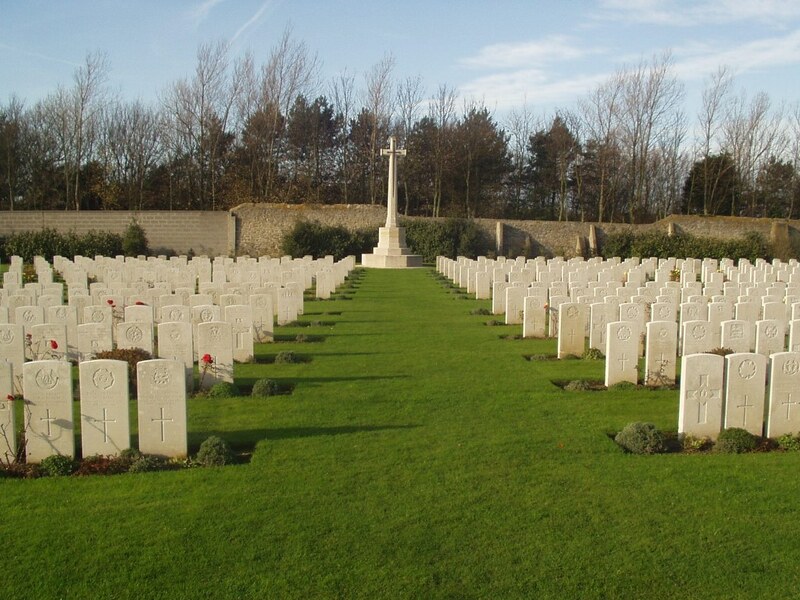 Military Cemetery/Memorial / Fynwent milwrol: Terlincthun British Cemetery, Wimille. Ref No Grave or Memorial / Rhif cyfeirnod bedd: X. B. 32. In 1939 the National Register records that some of John William’s family were living at Mill Farm in Kinnerton – his father John (a Cowman). his stepmother Sarah, his sister Florence, and his stepbrother Thomas (a market gardener). Three other names were redacted from the record, probably because they relate to persons born less than 100 years ago and possibly still alive. These may be relatives of John William. John William died two weeks after his 27 year old uncle Thomas Ithell was killed in action on the western front. He is also commemorated on the Caergwrle and Kinnerton memorials.